Temple gate has a roof of thatch. 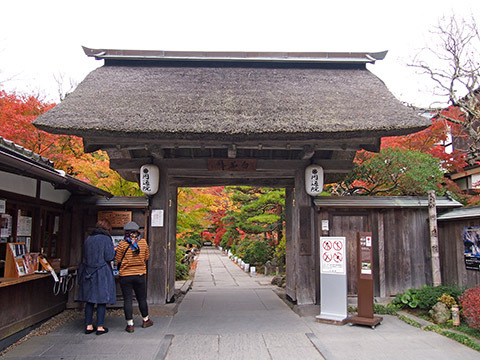 As you enter the gate, you can see the sight that the trees are autumn leaves. 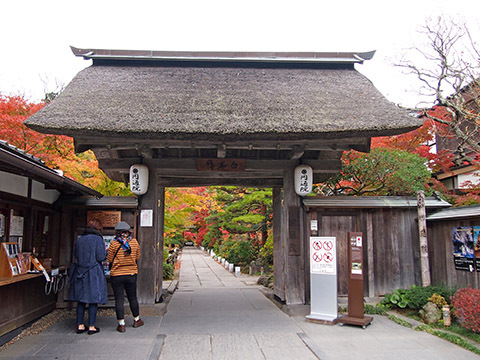 The gate is designated as a cultural property of Matsushima Town.